Albert Einstein is a genius on so many levels, but I’m finding his quotes relatable (I think this is the second or third quote I’ve posted from Einstein. I actually stumbled upon this quote while surfing Pinterest for INTP humor. I haven’t done a personality post (which, now that I think about it, I’m not sure why I never did. I’m guessing it’s because I was focusing on reviews. Huh. ), but according to Myer-Briggs I’m an INTP and it turns out Albert Einstein is a famous INTPer, according to 16Personalities.com. I love this quote since some view intelligence as being serious and some view creativity as not so serious. 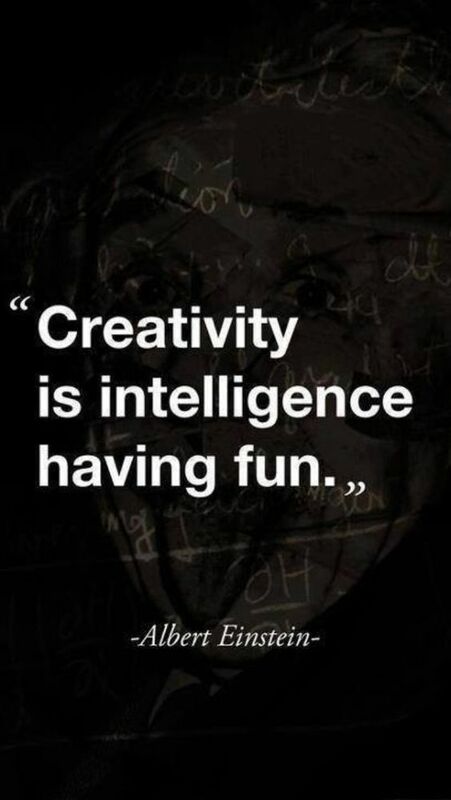 This quote blends the two and suggests that creativity is intelligence and that intelligence can be fun.